Stock exchanges are challenging businesses to run. The people who use stock exchanges, stock traders, banks, brokers, etc. move very fast. The phrase “time is money” was invented to describe these people. They have a desperate need to be able to communicate with other people in a very rapid and very reliable way. Literally millions and perhaps even billions of dollars depend on their ability to do this. Lately over at the Singapore Exchange they have not been able to do this and the person who is ultimately responsible for their problems is the stock exchange’s CIO – Bob Caisley. What Has Gone Wrong At The Singapore Exchange? On its surface, a stock exchange is a fairly simple thing. People who want to sell their stocks show up. People who want to buy stocks show up. The stock exchange’s IT systems allow these two groups to exchange information about what is available to be bought, how much someone is willing to pay, etc. If both parties are in agreement, then the deal is electronically completed and both stock and money exchange hands. This process is not currently working correctly over at the Singapore Exchange. 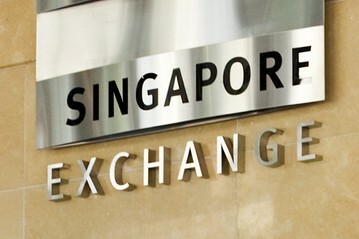 On Wednesday, December 3, 2014, the Singapore Exchange delayed its opening by more than three hours. In the world of finance, fortunes can be both made and lost in milliseconds – three hours is an incredibly long period of time for a stock exchange to be down. The reason that the stock exchange was kept closed was because bad data had been distributed by the stock exchange to brokers. What had happened is that the stock exchange had upgraded some software on one of its backend systems over the weekend. This system had then created faulty data that was then distributed to brokers. The exchange had to be kept closed while the affected brokers reconciled their systems. This is not the first technical snafu that the Singapore Exchange has experienced. Back on November 5th, an IT technical glitch caused trading in both the securities and derivatives markets to come to a halt for over two hours – once again an eternity in the world of finance. Just to make things even worse, trading in the derivatives market was halted for two and a half hours in April because of IT hardware problems. Clearly the Singapore Exchange’s IT shop has some serious problems. One of the things that it can be all too easy for those of us in the CIO position to forget is that the relationship between IT and the rest of the company is a relationship that is built on trust. The rest of the company believes that they don’t have to worry about IT issues because we’ll take care of them. As is the case with the Singapore Exchange, when we don’t keep our part of this bargain, all of a sudden life starts to get harder for everyone else and trust can be lost. In Singapore, the central bank regulator has been keeping track of what has been going on over at the Singapore Exchange. He has stated that it is “unacceptable”. To make things even worse, the Monetary Authority of Singapore has instructed the exchange to review “…the shortcomings that led to the lapse…” and they’ve even gone so far as to threaten that they will “… not hesitate to take supervisory actions…” if it turns out to be necessary. Clearly, the actions of the Singapore Exchange’s IT department and their CIO are causing the firm to get unwanted attention. The CIO works for the CEO. The CIO’s job is to make sure that the company’s IT infrastructure is able to support what the CEO wants the company to be able to do. In the case of the Singapore Exchange this is not happening. The exchange’s CEO, Magnus Bocker, was forced to release a statement in which he said that the exchange was going to have to work to rebuild the trust with its customers that the outages had lost for them. This situation should never have happened and preventing it is the job of the firm’s CIO. Having the CIO job means that you have been given a great deal of responsibility by your company. They have entrusted the IT assets of the company to you because they understand the importance of information technology and they have the expectation that you’ll make sure that the company is provided with the reliable computing resources that it needs in order to meet the needs of its customers. Over at the Singapore Exchange their CIO is not fulfilling his part of this bargain. Recently the exchange performed a software update. This resulted in bad data being sent to brokers. The exchange was forced to remain closed for three hours while the bad data was removed from all of the broker systems that it had been loaded into. Clearly the proper quality controls have not been implemented in the IT department. Even more disturbing is this is not the first major outage the Singapore Exchange has experienced. The level of trust between the brokers and the exchange is at an all-time low and rebuilding this now needs to be the primary focus of whomever is in the CIO position going forward. The importance of IT to a company’s success has never been more important. It can be all too easy to forget about the complexity of running a modern IT department until things start to go very wrong. This is exactly what has started to happen over at the Singapore Exchange. It is the responsibility of their CIO, Bob Caisley, to identify what is wrong in his IT department and move quickly to fix it. The good news is that this can be done, the bad news is that there is not a lot of time before the exchange will have used up all of the remaining trust that it has with its brokers. Question For You: Do you think that the Singapore Exchange CIO should be replaced? Joel Manfredo was the CTO of Orange County, California a while ago. When he first came into office, he discovered what most CIOs discover when they start their job: he had a lot of problems on his hands that had nothing to do with the importance of information technology. The Orange County IT department provides IT services for over 18,000 employees who work in over 30 different government services. As Joel took over as CTO he realized that he had a bit of a mess on his hands, what was a CTO to do?